Take the Referral Revolution Masterclass to find out how you can rapidly grow your business over the next 30 days with minimal effort and zero investment. Well over the next 30 days it really can become a reality when you take the Referral Revolution Masterclass and implement our proven referral systems. -	How to get your best clients to refer ‘versions of themselves’ to your business proactively without you even asking! -	How to completely eliminate the awkwardness that you feel before asking for a referral from someone- these mindset hacks will transform your approach to so many areas of your business. -	And much, much more. This coaching masterclass is specifically for personal trainers, coaches, therapists and instructors who are working with clients on a weekly basis. In short, if you are looking to grow your business quickly but also ethically and with the right type of clients this is an absolute must for you to attend. Because this is an online event you can literally tune in from anywhere in the world. You might be in the gym, at home, or even on the road and you can stop, learn and grow yourself and your business..
5. You want to work with clients that you enjoy spending time with, lifes to short for any others. So the Referral Revolution Masterclass is a live, interactive online session that is taking place on the 11th October at 3pm GMT. You can tune in from any computer, mobile phone or device provided you have internet access. You will also get a full recording of the session to view afterwards so if for any reason you cant attend you will get access immediately following the session and you can watch it at your leisre as many times as you like. You’ll also get a copy of the Referral Revolution Checklist and manual which will give you daily actions and activities to go through over the next 30 days to make sure you’re seeing results from the knowledge and coaching you’ve been through. Buy the session as a standalone session You will get access to the live event and a copy of the manual. Join the Fully Booked Incubator Coaching Programme where you get a monthly masterclass like this every month for a year and you can access Referral Revolution for just £20 followed by £99 per month. Not only will you get access to the Referral Revolution but you will also get the "Something From Nothing" module worth £250. 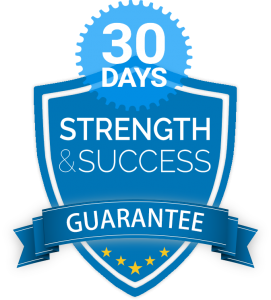 As always you are protected by our guarantree meaning that if for any reason you feel like you didn’t get true value from the session you can cancel and request a full refund with 30 days. full refund.